A beautiful roof makes a beautiful home. 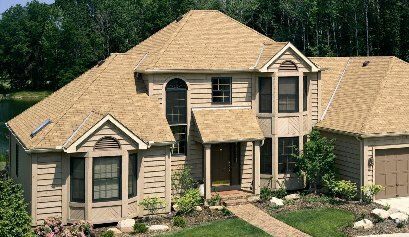 If you are looking for a shingle with staying power, your search stops here. When it comes to weathering the elements, XT 30 is at the top of its class. •XT 30 is the heaviest fiber glass three tab shingle in its class for long life and durability. •Beautifully color-blended line of shingles. The widest array of colors to suite any trim, stucco or siding color. •An exceptionally strong shingle with unrivaled tear strength. This roofing product, in Star White, qualifies for an energy tax credit of up to $1500 under the American Recovery and Reinvestment Act.